As a fully MiFID II compliant trading protocol, RFQ introduces another element of choice and control to the way buy-side firms can access liquidity in cash equities on-venue, says Adriano Pace, head of equities (Europe) at Tradeweb. TradeTech panelists agreed that trading volumes have failed to shift to lit venues under MiFID II, but the regulation has led to unintended positive developments. Adriano Pace, Head of Equities (Europe) at Tradeweb, talks to TRADE TV at this year’s TradeTech conference about bringing its RFQ system to cash equities and what sets the offering apart. The TRADE talks to Adam Matuszewski, senior product manager at Securities & Exchanges, about how SIX has reshaped Swiss equity trading with its non-displayed pool, SwissAtMid. 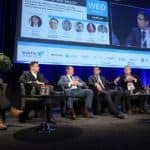 Speakers at this year’s TradeTech conference laid out how buy-side firms can take advantage of untapped alternative data. Tom Lazenga, VP of Sales at TNS, talks to TRADE TV at this year’s TradeTech conference about the trends impacting the financial markets this year and simplifying exchange access. 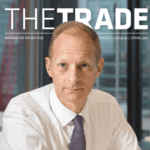 In our latest issue, we speak to Carl James, global head of fixed income trading at Pictet Asset Management, about his career to date, embracing change and where the fixed income world is heading. We also examine Brexit’s impact on Europe’s clearing landscape, the unintended consequences of research unbundling for buy- and sell-side institutions, and shine a light on global exchange activity so far in 2019, as well as present the first half of the 2019 algorithmic trading survey.